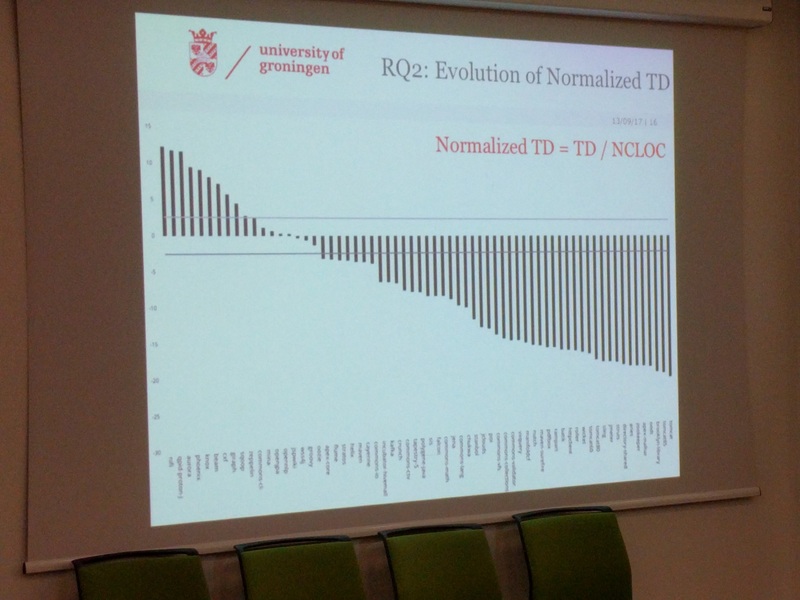 Presented by Georgios Digkas from the University of Groningen and Macedonia. 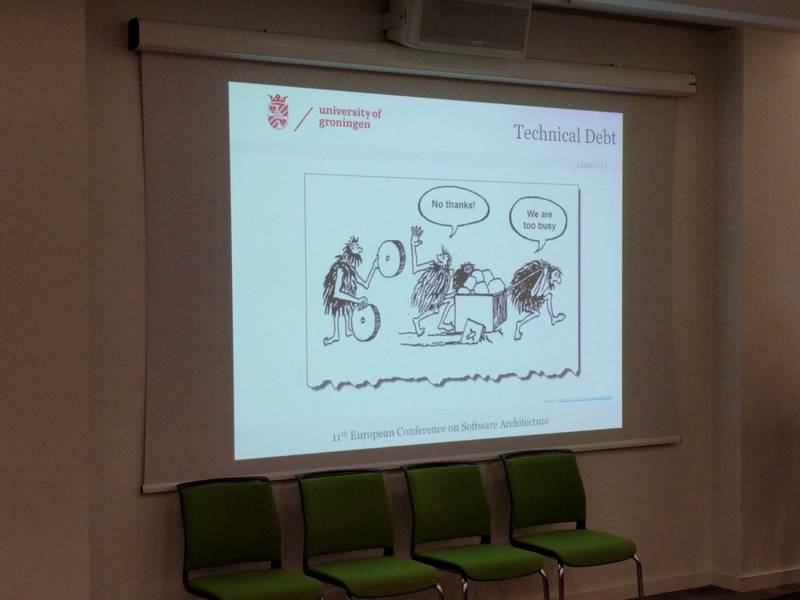 Technical debt is already a well-known subject in software engineering. Doing things quick and dirty might be good in the beginning, but may hamper future maintenance. Next, they study the most frequent types, and what are the most costly. Duplication counts for 20% (! ), exceptions are on the second place. 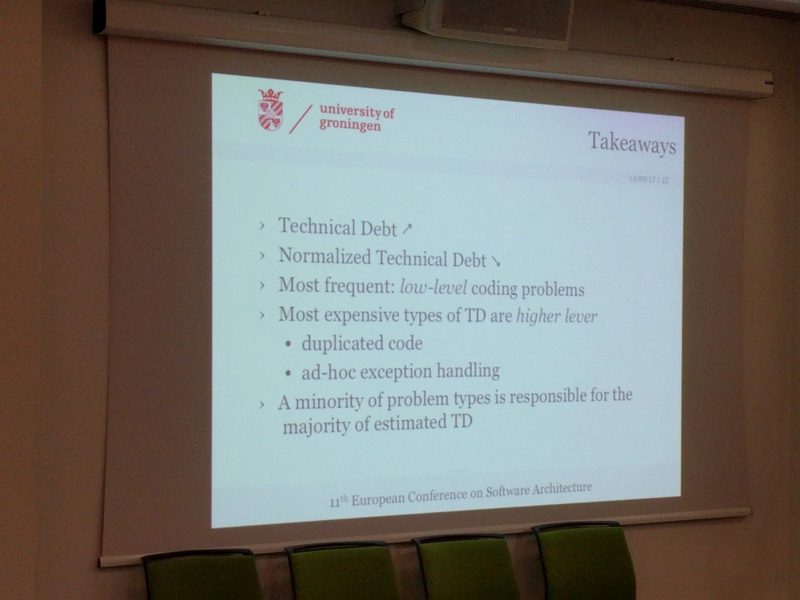 So, although it seems technical debt increases, per line of code it decreases, and most frequent are low-level details, and only a few problems cause the majority of the technical debt. Of course, more research is needed in different languages and ecosystems to find the most costly technical debts, and to know which ones to repair first.